Welcome to a wonderful trip to the South of China. The first time I tried this soup I was in Hong Kong, then I was told is a very rare recipe, cause it requires hours and hours (and nowadays is found in reastaurant, rarely into homes). 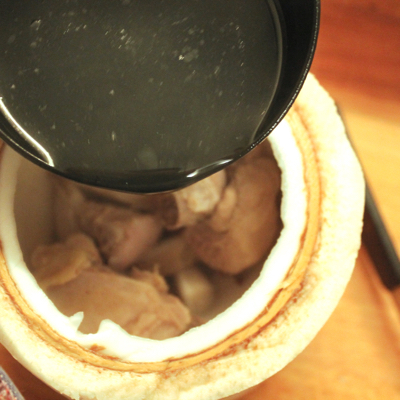 We akll know from our grandmothers that the best stock is the one boiled for at least 3 hours. 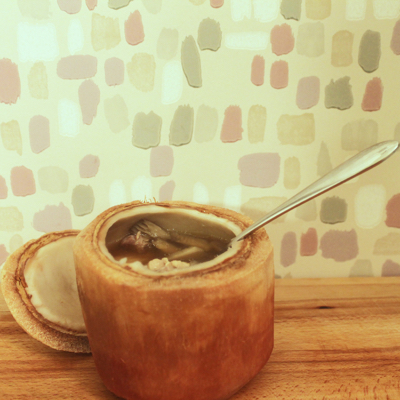 Can you imagine what can happen to a stock, boiled twice for 3 hours in total? 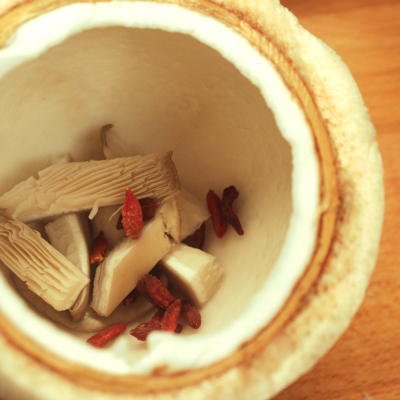 Magic for your palate and, also for your eyes. 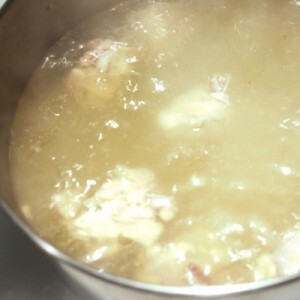 * To prepare the stock, put everything into a pot and bring to a boil. Leti t simmer for 3 hours at very low heat. Set aside. 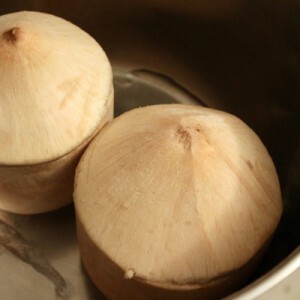 Cut the coconuts at three quarters of their height (help yourself with a strong knife), pour the coconut water into a container and keep the top parts (you wil use it as lids). In each emptied coconut, put the 1 bunch of shitake mushrooms (or 1 pleurotis mushroom) , one tsp of goji berries, 2 pieces of chicken. Add the coconut water (to reach half of the coconut and pour in the chicken stock up to 1 cm from the edges of the coconut. 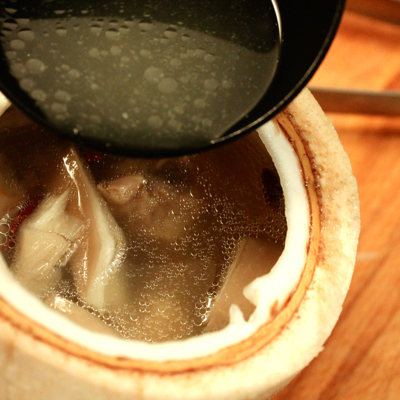 Close the coconut with their original tops. Put them in a casserole big enough to fit them (or put them into 2 separate casseroles). Put water into the casserole 4 centimeters of water. On high heat bring to a boil, cover the casserole(s) with a lid and lower the heat to minimum. 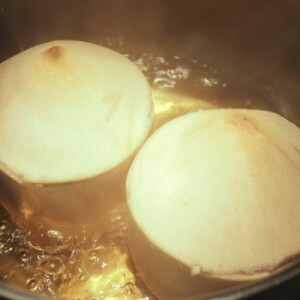 Simmer and cook covered for 3 hours (check every now and then that the water does not evaporate fully – in case add some). 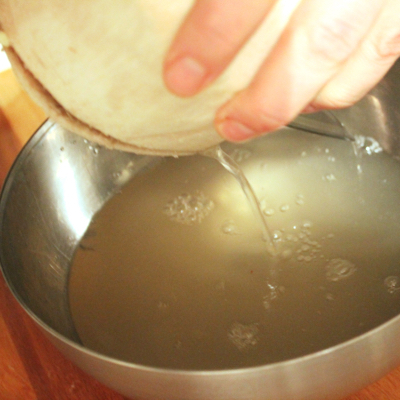 Retain from fire, take the coconuts gently out of the water and let sit for 20 minutes before serving directly at the table. 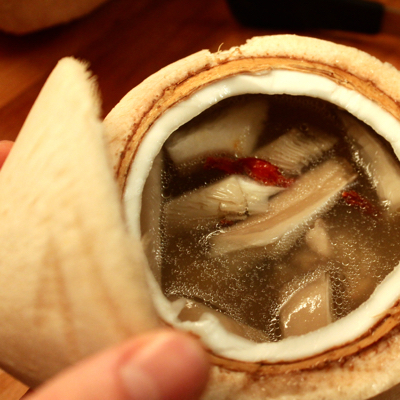 The soup must be eaten directly from the coconut.